This precious little sheer white cotton blend voile diaper set is made by Will'beth, a leading designer of beautifully detailed children's clothing for more than 30 years. 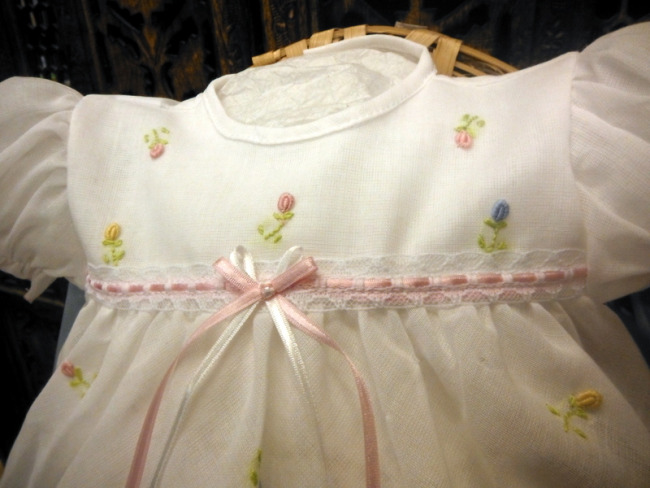 It features pastel embroidered rosebuds with a pink satin ribbon trimming the yoke. It buttons in the back with small buttons. The short puffed sleeves, and matching pantaloons are finished with elasticized ruffles edged with pink scalloped trim. 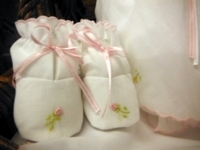 The pink scalloped edging is repeated on the hem, matching booties, and bonnet ruffle. The booties and bonnet tie with pink satin ribbon. 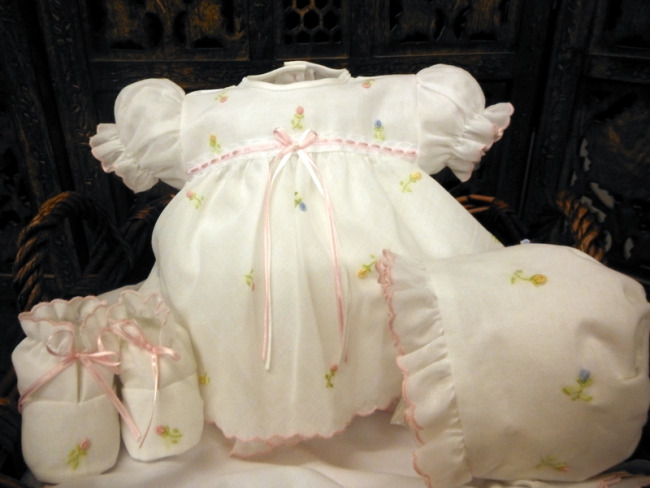 What a darling little diaper set for your newborn baby girl!